Courage, perseverance, and a chase across three oceans. 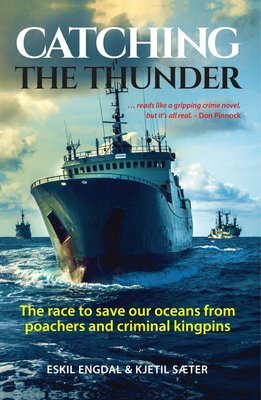 The infamous poaching vessel Thunder, wanted by Interpol, evaded justice for more than 10 years. Catching endangered species and destroying ocean habitats in the process, it illegally made as much as R90 million a year. Captain Hammarstedt and the crew of the Bob Barker relentlessly pursued the Thunder to bring it to justice, and helped to expose a global poaching network.